WASHINGTON – Reporters aren't the only ones who need copy editors. 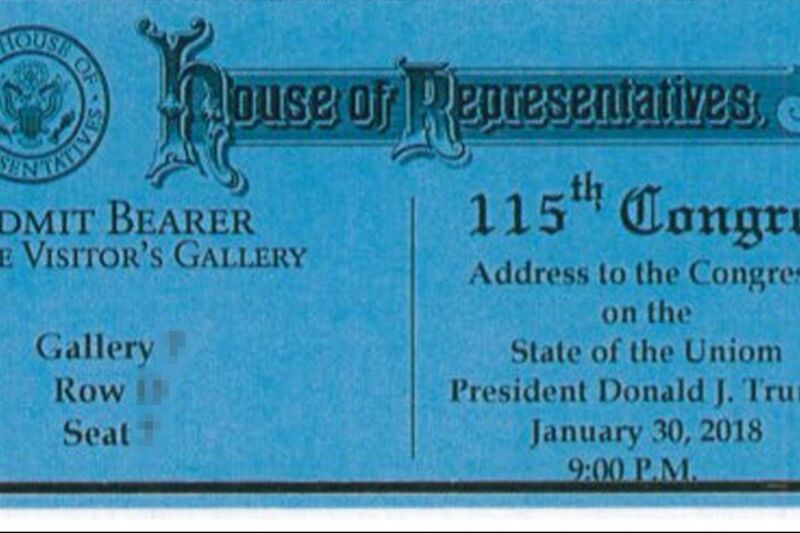 The tickets printed by the House Sergeant at Arms for President Trump's first State of the Union address Tuesday contain a glaring typo, which quickly drew groans across social media. The office of the Sergeant at Arms, which is in charge of maintaining laws, protocol, and order in the House, was reprinting the tickets after what a spokesman called a "misprint." The misstep from the nonpartisan office comes on the heels of a series of prominent misspellings in official statements and briefings in Washington. The president's Twitter feed regularly features typos, misplaced punctuation, and misspelled words, and releases from the White House have followed suit. Another White House release about terrorist attacks contained typos such as "attaker" instead of "attacker," "San Bernadino" instead of "San Bernardino," and "Denmakr" rather than "Denmark."